MANILA, April 5, 2017 – The mad, family roadtrip from Cebu is driving all the way to North America! 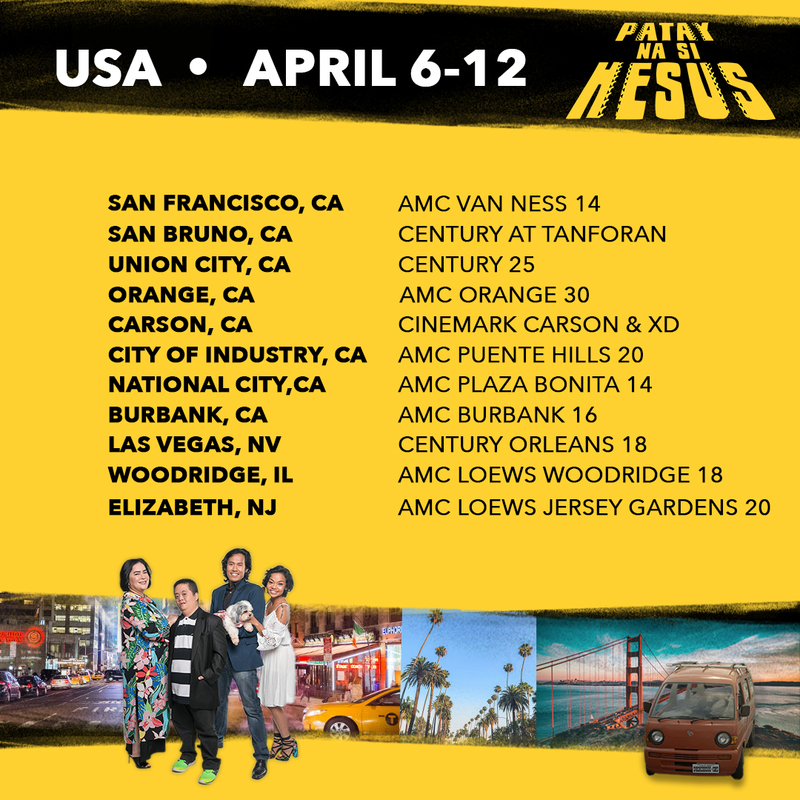 The most critically acclaimed Filipino comedy film of 2017, T-Rex Entertainment’s “Patay Na Si Hesus” marks its foreign exhibition as it arrives in US and Canada theaters starting Friday, April 6. Fans and moviegoers in North America may refer to the infographic below for the list of participating cinemas. Please check out the venues’ official websites for screening details. 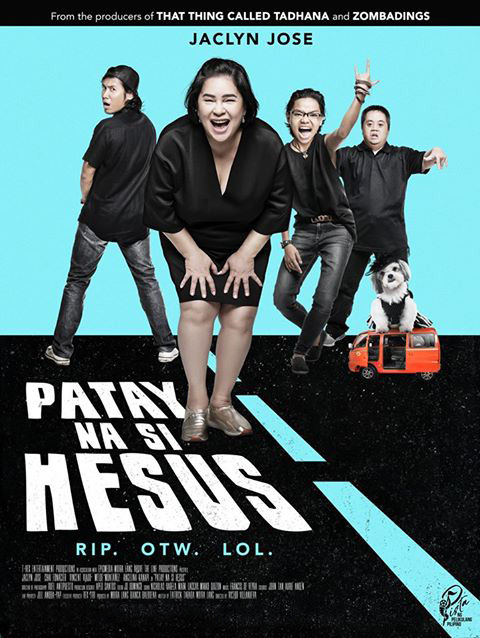 The sleeper hit of last year’s Pista ng Pelikulang Pilipino where it won the Jury Prize, “Patay Na Si Hesus” is a quirky, Cebuano-language satirical comedy that chronicles a family’s memorable roadtrip en route to a funeral they cannot afford to miss. In the film, when Iyay (Jaclyn Jose, 69th Cannes Film Festival Best Actress) learns that Hesus, her ex-husband, has died, she gathers her children and tells them they are going on a road trip from Cebu City to Dumaguete. No ifs or buts about it: they are attending their father’s funeral. Her children – Hubert (Vincent Viado), who has Down Syndrome; Jude (Chai Fonacier), a lovesick trans man; and Jay (Melde Montanez), who is living the bum life – join her with varying degrees of reluctance as she drives them in her extra-mini mini-van. One unplanned detour comes after another, each pushing this family closer to confronting the past and figuring out how to enjoy the ride to an uncertain future. Directed by Victor Villanueva, “Patay Na Si Hesus” is written by Fatrick Tabada and Moira Lang, and produced by Lang and Bianca Balbuena. The film premiered as an entry to 2016’s QCinema Film Festival and went on to win the festival’s Audience Choice Award.